This is what I call our family Christmas tree. The tree is decorated with the ornaments that my kids have made and the dated ornaments that I've collected over the thirty plus years of our marriage. There are also ornaments that I've bought while we were on vacation. I used to put these ornaments on a cut tree, but since we moved to Arizona we haven't bought a cut tree. This is the old slim line tree that we used to have in our living room in Florida while we had a cut tree out on our lanai by the swimming pool. If you look really hard, you might be able to see the book sitting on the branches in the middle of the three. It's my January book for Love Inspired, SECOND CHANCE REUNION. Below you can see one of the cut trees we had in Florida. You may recognize some of the ornaments from the tree above. We also have a formal tree in the living room. I started that tradition in Dallas where we had a very tall ceiling that I thought deserved a tall tree. This tree is decorated in gold, white and maroon. I no longer have to have a slim line tree to fill this space in front of our living room window. You can see my Santa wind sock on the tree out front. Besides the two large trees, I have two small trees that now fit very nicely on the ledge that overlooks our living room. One of them has small international Santa ornaments on it, and the other one just colored lights. Here they are. I have gone overboard with Christmas trees? Do any of you have multiple trees in your home? We will be sending out a Christmas enewsletter with a collection of Christmas stories you won't want to miss! To sign up, please scroll down on the right and enter your email address under Mailing List. And don't miss our Santa's Sweet Romance Reads Bash on Facebook on Weds Dec17th-noon to 8 p.m. Eastern. Sign up to join in the fun here: http://on.fb.me/1yqvdOe Thank you! 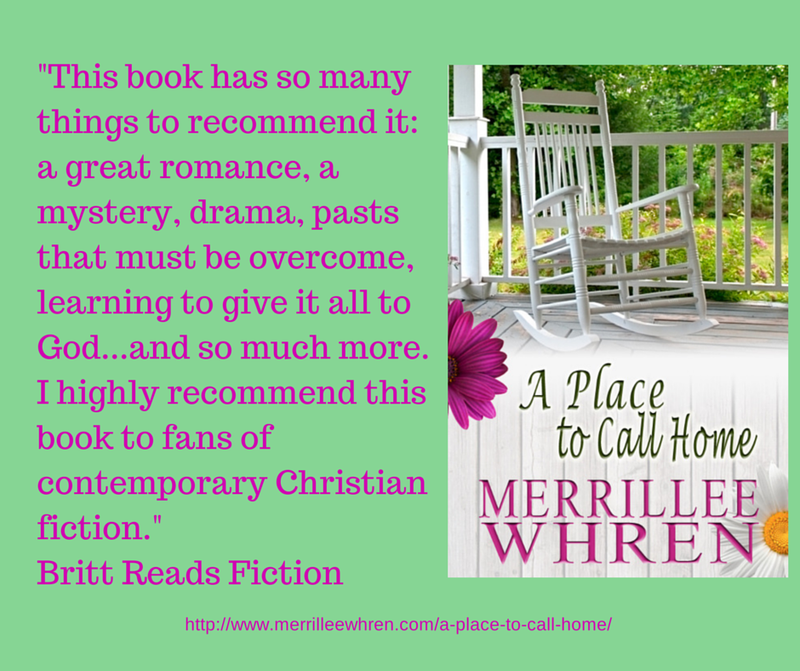 Merrillee Whren is the winner of the 2003 Golden Heart Award presented by Romance Writers of American. She is married to her own personal hero, her husband of thirty-five plus years, and has two grown daughters. Her latest book, Second Chance Reunion, is available at all major book retailers. You can find the buy links at her website. Connect with her on her Facebook page. What lovely decorating you've done. Love the Christmas trees, and especially the homemade ornaments. Such treasures! Thanks, Ginny. I've been gone most of the day playing in a tennis tournament, so am responding late.